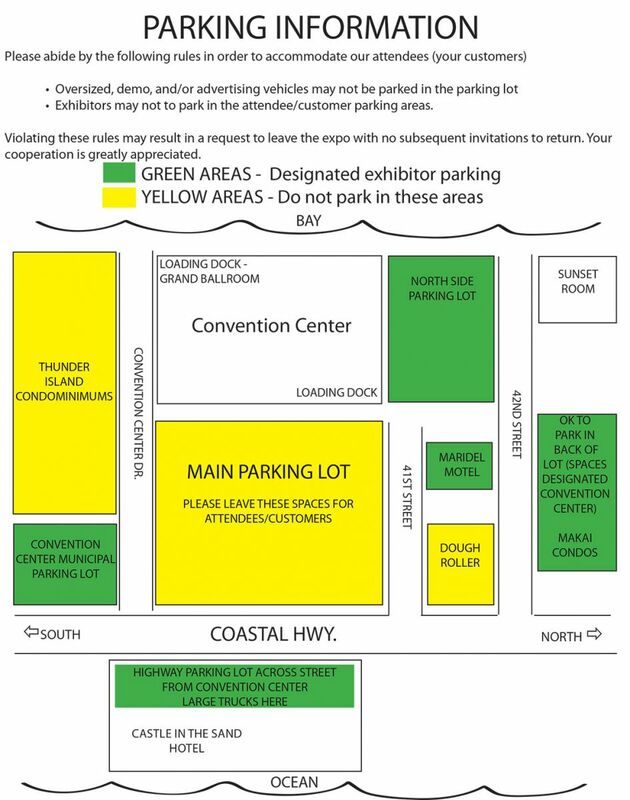 In order to have adequate parking for your customers, please follow the Expo guidelines for parking. Exhibitors may park in the Castle in the Sand Hotel parking lot across the street on 38th and Coastal Highway. The GPS address is 3701 Atlantic Avenue Ocean City MD 21842. You may also park on the north side of the Convention Center north of Hall A/B. Trucks MUST be parked in this lot, or at the Castle in the Sand. Many attendees complain of not finding parking and then they do not attend ---- make it easy for them to visit you!